Located on the sunny South Shore at Poipu Beach, just 10 steps from the waters edge, our 1 and 2 bedroom condos provide the best Kauai has to offer in oceanfront vacation rentals. Enjoy magnificent sunsets, watch surfers and sea turtles from your lanai or snorkel at the beach right in front of the building. You'll enjoy the sound of the ocean from every room in these condos. 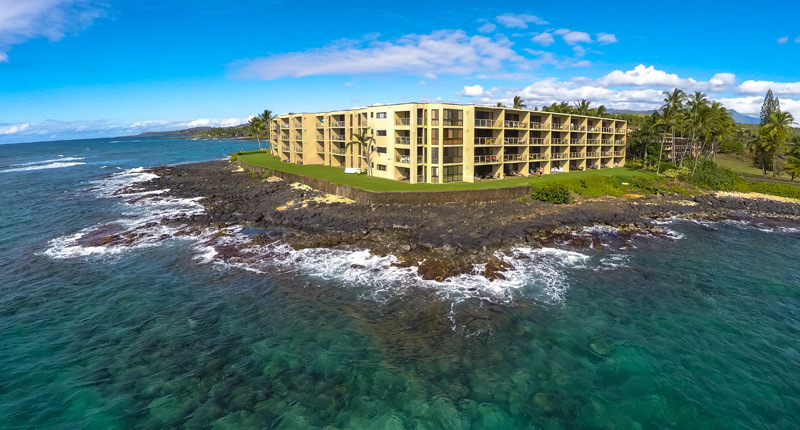 The Kuhio Shores location is unbeatable and our condos are as close as you can get to the ocean on the island of Kauai! None of the condos LISTED HERE advertise via Craigslist. If you see one there it is a scam! 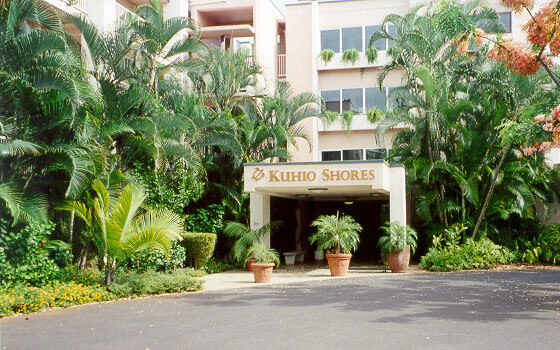 Experience the Aloha spirit and ambiance of our fully equipped condominiums at Kuhio Shores ~ an excellent value for vacation accommodations at their finest. These stunning Pacific Ocean seaside vacation rentals ~ one and two bedrooms ~ feature unobstructed views of sunsets, surfers, whales, turtles, and dolphins. 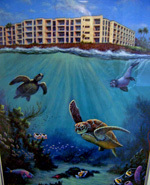 Our building is oceanside so we have benefit of the cooling trade winds. Instead of air-conditioning, we maintain an open-air environment that allows us to enjoy the tropical breezes and sounds: featuring the surf, tropical birds, and rustling palm trees! Gently supplementing the ocean breezes are ceiling fans that can be used when desired. Select a Kuhio Shores condo as your Poipu Beach-front base for the many activities Kauai has to offer. Golfing, riding stables, restaurants, shopping, and other activities are just minutes away. Then relax and unwind in your oceanfront home ~ enjoy lounging or dining on your lanai; snorkeling all around the building; surfing; reading your favorite book on the beaches on either side of the building; listening to the surf and beachcombing; or exploring the tide pools and swimming with the turtles (we swim with nature here! no need for a swimming pool at Kuhio Shores). 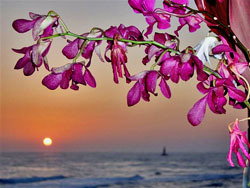 And our location is perfect for whale-watching (in season), and for those spectacular Kauai sunsets! Whether you are searching for the perfect location for your honeymoon, anniversary, or wedding, or simply looking for a private tropical getaway right ON the ocean, our newly remodeled condos fit the bill. Start creating your Poipu dream vacation by clicking on the specific unit pictures that interest you. This will take you to our unit owners' individual web sites so you can view and choose your vacation accommodations. You will be working with owners at Kuhio Shores by using this web site and you'll correspond directly with people who know the units' building, and surrounding attractions. Mahalo for visiting, and a hui ho!